For the second week in a row, “samrostan” finished as the week’s biggest winner in the high-stakes scene, which is helping him mitigate the losses he piled up earlier in 2013. Last week he put together a $358,238 win, and this week he followed it up with a hefty $912,134 win in 7,543 hands over 27 sessions. "Samrostan" was far and away the biggest winner as only three other players managed to notch six-figure wins. The others were “taktloss47” (+$116,942 in 12 sessions/848 hands) and Alex “Alexonmoon” Luneau (+$102,619 in 14 sessions/2,381 hands) on Full Tilt Poker, and Vladimir “Gvozdika55” Shchemelev (+$104,535 in 12 sessions/1,912 hands) on PokerStars. When there’s only one big winner, there tends to be a lone big loser, and that was the case as Phil “OMGClayAiken” Galfond, who lost $166,370 last week, was this week’s biggest loser after dropping $620,888 in 5,708 hands over 28 sessions. Other weekly losers included Ronny “ronnyr37617” Kaiser (-$215,448 in 35 sessions/1,486 hands), Viktor “Isildur1” Blom (-$134,450 in 111 sessions/9,192 hands), and “O Fortuna PLS” (-$93,136 in 14 sessions/1,950 hands). Finally, I’d be remiss if I didn’t at least mention the parting between Tom “durrrr” Dwan and Full Tilt Poker. I won’t get into it here, but if you want to read more you can check it out by clicking here. On a side note, check out my recent Op-Ed titled The Problems of Opting Out from Online Tracking, which examines the recent trend of high-stakes players (i.e. Kyle “cottonseed1” Hendon) deciding not to have their long-term results displayed — which of course has influenced the Online Railbird Report. Late last week, “samrostan” joined an 8-Game table alongside Viktor “Isildur1” Blom and Alexander “PostFlopAction” Kostritsyn. In less than two hours, “samrostan” relieved the two of a combined $200,000. At that point Blom logged off down $205,000 at the table, and then Kostritsyn hit a heater to win all of “samrostan’s” profit. Blom then returned an hour later, won $37,000, and took off again. He was replaced by “punting-peddler,” who promptly dropped $300,000, which resulted in “samrostan” bringing his profit back up to nearly $350,000. Kostritsyn lost all the momentum (and profit) that he had and eventually left the game a $42,800 loser, while “punting-peddler” managed to win back $200,000 or so. All told “samrostan” left the table a $328,600 winner, but due to some earlier losses finished the day up $308,500. As far as big pots go, the biggest actually happened between Blom and Kostritsyn. It happened in a hand of $300/$600 pot-limit Omaha when Kostritsyn ($65,399.50) opened for $1,800 and then called a three-bet to $5,400 by Blom ($122,494.60). When the flop came down Blom bet $7,200, Kostritsyn called, and the hit the turn. Kostritsyn called another bet from the Swede, this time $15,600, and the completed the board on the river. This time Blom checked and then called Kostritsyn’s shove of $37,199.50. Kostritsyn tabled the for a flush, and it was good enough to win the $130,799 pot as Blom sent his cards to the muck. There were three six-figure winners in Phil “OMGClayAiken” Galfond (+$161,100), Gus Hansen (+$134,300), and “Lottenice” (+$114,100). Galfond’s win came from playing 2.5 hours of $200/$400 CAP PLO. 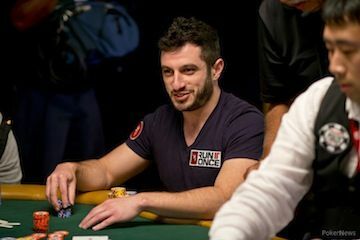 At one point he was up approximately $75,000 at the $2,000/$4,000 2-7 triple draw tables against “taktloss47,” but then his opponent hit an upswing and ended up winning $37,000 from Galfond. Viktor “Isildur1” Blom played at three tables of $500/$1,000 2-7 triple draw, and surprisingly the game didn’t result in any big winners. That said, Blom did finish with a profit on Sunday, albeit for a modest $11,700. Hansen played an hour of fixed-limit Omaha hi/low (FLO8) against Kyle “KPR16” Ray and won $143,000 in 121 hands. In the middle of this week, Phil “OMGClayAiken” Galfond and “samrostan” played in an early morning 8-Game match that lasted nearly nine hours. During that time “samrostan” wound up a massive $705,000 winner. Thirteen hours later, the dynamic duo was back at it and it took “samrostan” 652 hands over four hours to relieve Galfond of $140,000. The win put “samrostan” up over a $1 million on the week, which helped alleviate his losses from earlier in the year. In the match the two played what turned out to be the second biggest pot of the week. It happened in the $300/$600 PLO round when “samrostan” ($266,821.09) opened for $1,500, Galfond ($121,452.44) called, and the flop came out . Galfond checked, “samrostan” bet $2,100, and Galfond woke up with a check-raise to $6,204. “Samrostan” called and then called a bet of $13,408 on the turn. When the completed the board on the river, Galfond led out for $34,312.59 and “samrostan” called to create a pot of $110,849. Galfond tabled the for a bunch of missed draws, and “samrostan” took down the pot with the for two pair. 13 The Online Railbird Report: Blom Drops $661,949 in Slow Week; $100K PLO Showdown? 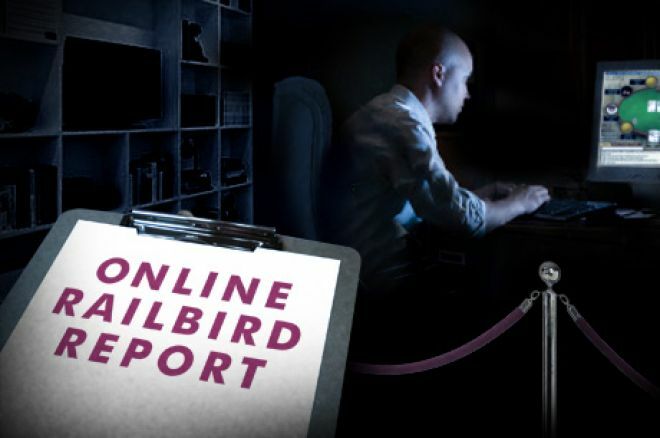 77 The Online Railbird Report: What's Happened to the High-Stakes Online Action?